I propose a toast — to this Pop-Tart coupon on Amazon. 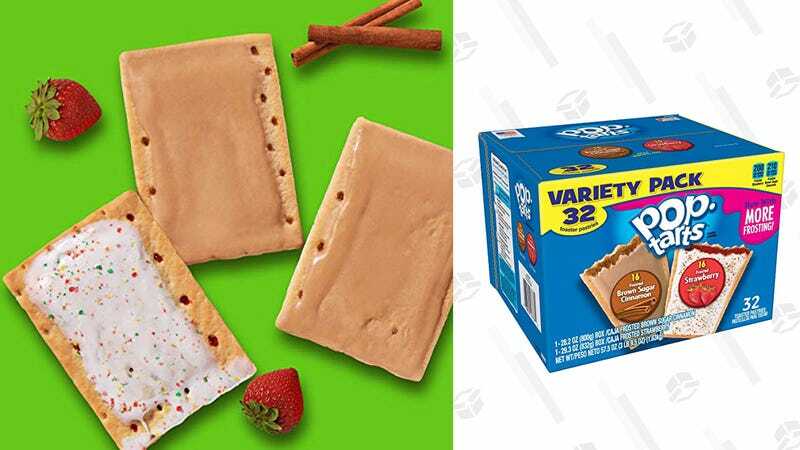 Right now, you can score a 32-count variety pack of Pop-Tarts containing 16 Brown Sugar Cinnamon pastries (objectively the best flavor of Pop-Tart) and 16 Strawberry pastries (objectively the second best flavor of Pop-Tart) for just $5, after you apply the 25% off coupon. Now that’s a deal worth celebrating. Don&apos;t Wing It on Super Bowl Sunday. Be Prepared With This On-Sale Wing Sauce.